I am proud to announce that we have offered Bassel Khartabil a position as a research scientist in the Center for Civic Media at the MIT Media Lab, where he will work directly with its director, principal research scientist Ethan Zuckerman. As a research scientist at the Media Lab, Bassel will be able to continue his longstanding work protecting spaces for online speech-work that fits naturally with the core research mission of the Center. In particular, Bassel is currently working on reconstructing in 3D the ancient ruins of Palmyra, one of the sites raided and destroyed by ISIS. 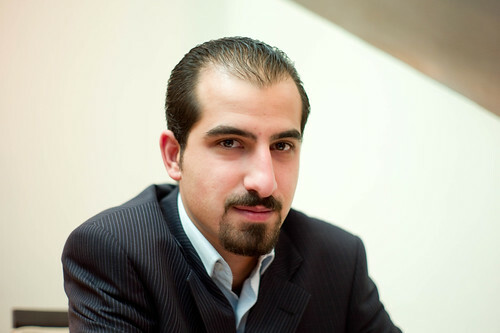 On March 15, 2012, Bassel was arrested by the Syrian military police, and eventually tried without a lawyer present at a military field court. Advocates across the globe have challenged his arrest and detention, arguing that his work presented no threat to anyone inside or outside of Syria, and instead represented the best aspirations of the open software movement. I am writing this post now because, along with his family, friends, and colleagues around the world, I am very concerned about Bassel's safety. Until recently, he has been held at Adra Prison, but his current whereabouts are unknown-as of yet the Syrian government has not shared any information about where he is or why he was moved. Bassel has devoted his career to the rich culture of Syria and to protecting that culture. His contributions to the open Internet and open culture internationally, and his research and creativity, have benefitted all of us. Without people like Bassel, the Internet wouldn't be the vibrant and open resource that many of us take for granted. When there is no longer respect for human rights, public calls can only state what one hopes for. This brings us to the second point: the more the affirmation of our hope is shared and present on the Web and social media, the more it may turn to a reality. Bassel's engagement in favor of a free Internet may have brought him to jail, but the attention that we, citizens on the Internet, give to this case may, to some degree, help bring him out of the darkness. In the name of the international academic community, I would like to ask President Assad to please give Bassel Khartabil a presidential pardon. He is an important world citizen and a true Syrian trying to protect the heritage of the country, and a pardon would be a tremendous show of good will and a contribution to the preservation of Syrian culture. Please share this post widely and keep Bassel in your thoughts. I remember Bassel dearly and was involved in his last-min visa invite to Singapore for our event in Nov 2009. I'm glad to have known Bassel through Joi and Jon, but am sad his wheareabouts and well-being is unknown. Joi Ito - "MIT Media Lab reaches out to jailed Syrian activist with research position in Center for Civic Media" by Joi Ito is licensed under a Creative Commons Attribution 4.0 International License.